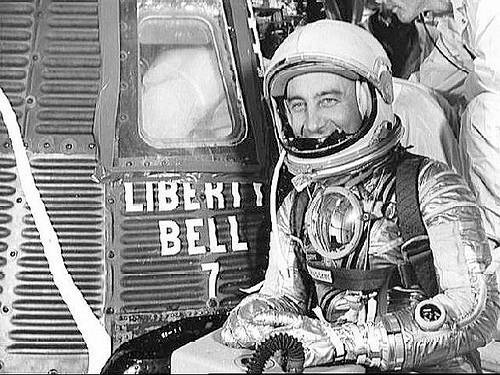 In 1961, astronaut Gus Grissom nearly drowned after a splashdown when his Mercury capsule opened prematurely. He recommended making the hatch more secure. Eight years later he died when Apollo 1 caught fire. The hatch had prevented his escape. Also 3 infants, 2 sons and a daughter. 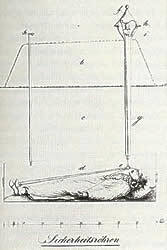 Johann Taberger designed this “safety coffin” in 1829, to preserve people who had been mistakenly buried alive. Strings were attached to the body’s head, hands, and feet, connected to a bell that would alert the cemetery’s nightwatchman, who could use a bellows to pump air into the coffin until it could be dug up. Such devices were popular during the cholera epidemics of the 18th and 19th centuries — European graves were rigged variously with bells, flags, ladders, and escape hatches. There’s no evidence that they ever saved anyone, and they nearly killed some of their inventors: During a demonstration in 1897, a chamberlain to the tsar of Russia buried his assistant, waited, and finally realized that the signaling system had failed. 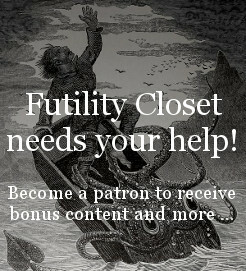 The assistant was saved, but the marketing campaign was DOA. Physicist James Van Allen outlived his own obituary writer. As Van Allen approached old age, the Associated Press assigned writer Walter Sullivan to prepare a story that could be published on his death. Sullivan did so and died in 1996, but his story sat in the file for 10 more years before Van Allen finally passed away at 91. Pretty, ain’t it? 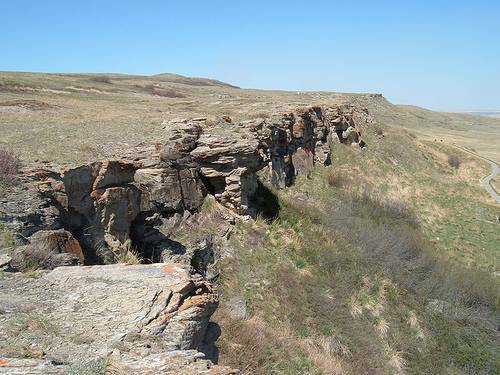 This 30-meter cliff rises from the foothills of the Rockies in Alberta. For 6,000 years, Native Americans would drive buffalo over the edge; the bone deposits at the bottom are 10 meters deep. It may have been Amelia Earhart. 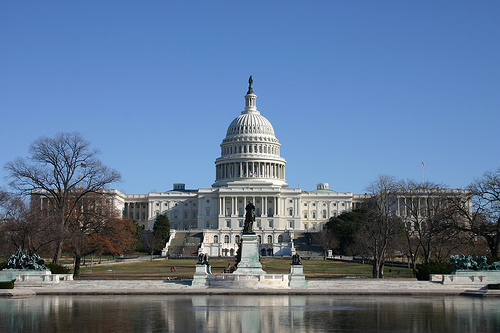 That member stays at a remote location in case some catastrophe strikes the Capitol. He’s called the designated survivor. K.JA. & K. CHARLES. AGED 152 YEARES. & WAS BURYED HERE NOVEMB. 15. 1635. That’s right, Thomas Parr supposedly lived to be 152 years old. Said to have been born in 1483, he was discovered still alive in 1635 by the Earl of Arundel, and London went nuts. Parr met Charles I; Rubens and Van Dyke painted him; poets lionized him; and the fuss finally killed him. Most likely his records had been confused with his grandfather’s, but he was certainly very old. He attributed his longevity to vegetarianism and clean living, though he said he’d had a kid out of wedlock at around age 100. Youthful indiscretion. June 30, 1811. A few days ago, John Hall, a labouring man, went at low water among the rocks, at Hume Head, near Cawsand, for the purpose of catching crabs, when meeting with one in the interstices of the rocks, of a large size, he imprudently put in his hand, for the purpose of pulling it out; the animal, however, caught his hand between its claws or forceps, and, strange as it may appear, kept its hold so firmly, that every effort on the part of the poor fellow to extricate himself proved ineffectual; and no one being at hand to assist him, the tide came in and he was next morning found drowned. John Wayne Gacy: Fried chicken, fried shrimp, french fries, fresh strawberries. Gary Gilmore: Hamburger, eggs, a baked potato, coffee, three shots of whiskey. Timothy McVeigh: Two pints of Ben & Jerry’s mint chocolate-chip ice cream. Adolf Eichmann: Half a bottle of Carmel, a dry red Israeli wine. Bruno Hauptmann: Celery, olives, chicken, french fries, buttered peas, cherries, and a slice of cake. Victor Feguer, executed in 1963 for shooting a doctor, asked for a single olive.